The Honeywell Airtouch S8 looks good and makes for an interesting proposition. But at Rs. 30,000, it seems too expensive for what it offers. 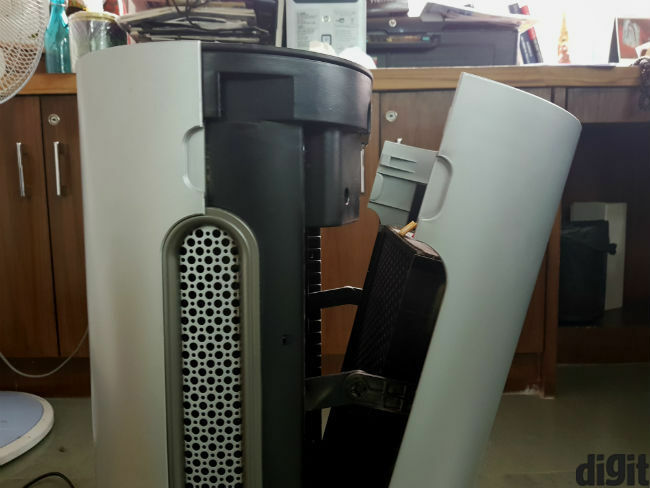 It seems a new air purifier invariably lands in my home just before Diwali. 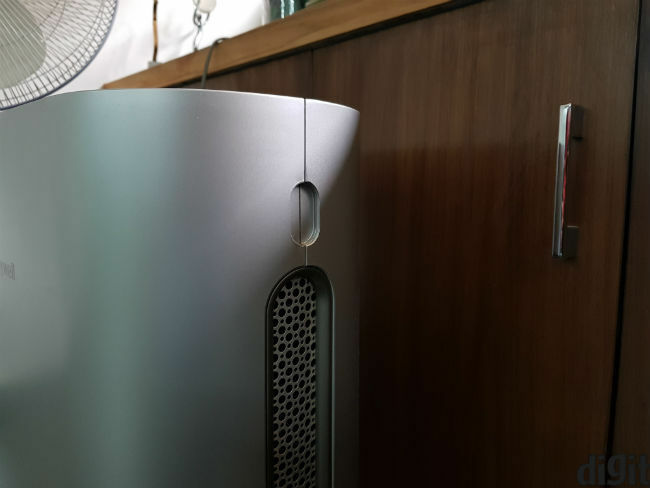 I used the Mi Air Purifier 2 last year, and this year the task falls on the Honeywell Airtouch S8. It’s a significantly more expensive product and offers some more technical jargon to go with it. It has a Pre-filter, a HEPA filter and Honeywell’s patented HiSiv filter. It also connects to your WiFi and allows control from an Android or iOS smartphone. All that comes at a pretty steep price of Rs. 33,990. So, do we care about pollution and what it’s doing to us enough to spend so much money on a Purifier? Personally, I’ve never been completely sold on these devices. That’s not because they don’t work, but because I don’t see the rationale behind using a device that will clean no more than half of my home. That said, I have to agree that I wake up fresher when there’s a air purifier running in my home, I smell fewer odours and I see visibly lesser dust on my furniture. Setting up the Airtouch S8 is easy, but frustrating. If you use it without smartphone support, the Airtouch S8 is easy enough to set up. There are touch buttons on the top, each with a symbol for what it does. The big round one at the center is the power button, with 14 dots around it, which indicate fan speed. Pressing the power button will put the purifier on auto mode, though you can change fan speeds by touching the dots. Doing that will take the purifier off auto mode. On the left is the Auto button, while the one with the moon symbol puts the Airtouch S8 on sleep mode. The Wi-Fi button is last and will keep on blinking as long as the Airtouch S8 is getting power. It will glow blue when the purifier is turned on and connected to your WiFi. That’s the easy part. The frustrating part is when you try to connect the H-Plus app to this device. After downloading the app from the relevant app store, you will need to connect your phone to the purifier, as if it’s a router. The app then recognises the purifier and the wizard guides you through the rest of the process. Sounds easy enough, right? It would have been if you didn’t have to repeat this process multiple times to connect the H-Plus app. Thankfully, you only have to get it right once. The purifier remains connected to Wi-Fi once connected, and there’s no additional pairing later. Connecting to your phone covers the “smart” part in the market today. But you wouldn’t be surprised to know that the Airtouch S8 isn’t particularly “smart”. That’s because the H-Plus app only works when your phone and purifier are on the same network, significantly reducing the functionality involved. In fact, that doesn’t qualify this as a true IoT device, which is absolutely unacceptable at this price, at least in my opinion. I want my air purifier turned on at least twenty-odd minutes before I’m home, but the H-Plus app keeps telling me that I can’t connect to the server when I’m outside. While that is disappointing, there’s a silver lining here. The fact that the app is telling me it can’t connect to server means IoT functionalities are built in here, but they’re broken at the moment. Honeywell needs to fix this if it is to convince buyers to purchase this device. An even bigger disappointment here is the H-Plus app. It makes me tap the screen far too many times to be a seamless experience. The Home screen gives you access to Home, Sleep, Awake and Away options, which make little sense. You need to tap devices and choose the relevant device to set different modes. This area of the app also shows you the condition of the filters. The Airtouch S8 has a Pre-Filter, HEPA filter and a HiSiv filter. Next, the H-Plus app doesn't keep up with the physical keys on the device. If you have the device turned off from the app and turn it on using the physical keys, the app will keep showing you it’s turned off. It’s also slow to update the PM2.5 readings, unless you refresh it from time to time. The other two options inside the app are for Messages and Settings. Honeywell provides its customer care number inside the app, which is a good sign. The Airtouch S8 has a clean air delivery rate (CADR) of 300 cubic meters per hour. That’s pretty much the standard for home air purifiers. Besides the app, the purifier depicts the air quality index (AQI) via different coloured lights under the physical keys. The light glows red for the worst conditions and turning to yellow when the AQI improves. Blue stands for safe air quality within your room. Now, with Delhi’s current pollution levels, you can expect the light to revolve between yellow and red. And personally, I have a problem with that. If you check the app, the PM2.5 levels remain above 100, which is far from ideal. On auto mode, the purifier is supposed to recognise AQI and regulate fan speed accordingly. But, the Honeywell Airtouch S8 seems happy to remain in the yellow spectrum. The fan speeed remained high for about 20 minutes in a closed room, falling to medium after that. In my experience, it remained in the yellow zone for hours. Granted that Delhi’s pollution levels are at an excess right now (and almost always). Yes, I’d expect a “smart” air purifier to regulate accordingly. I would have to manually turn the air purifier to its “quick” mode on a regular basis. It would then take another 20-odd minutes to turn to blue. The app showed PM2.5 at about 65-70 at this point. That’s still not safe, but I doubt you’d get much better from any such machine in Delhi right now. What that tells me is that the Airtouch S8 is capable of doing what it’s meant to, but it requires manual care for the same. Why does that matter? 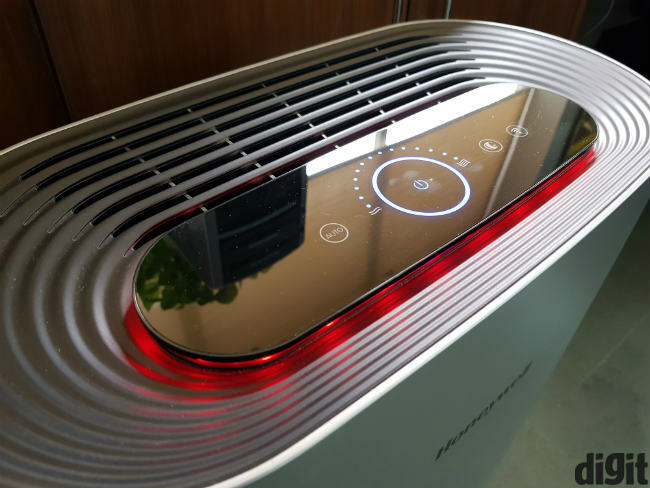 Because air purifiers are still met with a lot of skepticism, and such results will not convince anyone, including myself. The fact that the Airtouch S8 costs about Rs. 30,000 doesn’t make things easier either. 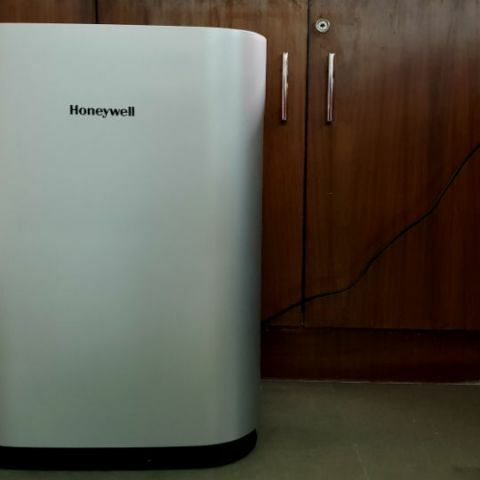 The HiSiv filter, which is Honeywell’s patented design, also clears the air of formaldehyde, which is classified as a “probable carcinogen” by the US Environmental Protection Agency. While that seems like something you’d want to have, I wasn’t able to discern any benefits from this. And as mentioned above, I wasn’t particularly trustful of Honeywell’s claims at this point. Where the S8 is visibly effective though is in cleaning odours. From garbage stench to cigarette smoke, the S8 takes about 10-15 minutes to clear them from a room. I’ve tried with paint thinners and washroom odours and the Airtouch S8 was capable enough in all those situations. 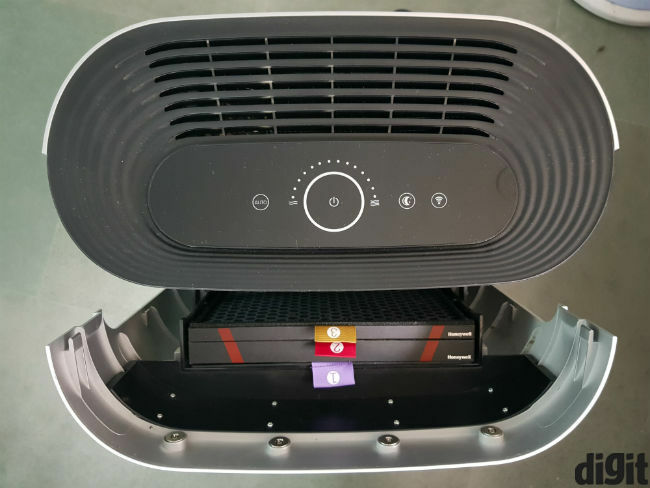 However, the Mi Air Purifier 2 that costs about a third of this was just as adept at cleaning odours as well. There are some tangible benefits of having an air purifier in your home. They also cover dust, pollen and other noticeable particles. And the Honeywell Airtouch S8 seems as effective at this as any other purifier. I used the air purifier constantly over the first few days and my bedside tables and cabinets were free of dust. However, it fails at that when I’m out of home all day, with the air purifier without power. That’s yet another reason why Honeywell needs to fix remote access on this machine. So I can turn it on and off thoughout the day. The Airtouch S8 has three kinds of filters, including a Pre-Filter, a HEPA filter and Honeywell’s HiSiv filter mentioned above. The three are labeled 1, 2 and 3 respectively, inside the device. The Pre-Filter traps PM10 particles, animal dander, hair and more. It’s the same filter you see on your air conditioner, and it’s washable. You can simply pop the back of the Airtouch S8, pull the filter out and wash it under a tap. Next, the HEPA filter is essential for any good air purifier today. It traps the PM2.5 particles and can handle particulate matter up to 0.3 micron in size. It also clears the air of formaldehyde, along with the HiSiv filters. Honeywell promises about 3000 hours of usage out of each HEPA filter. Although I am not quite sure what the ideal conditions for those 3000 hours are. I am certain it's not Delhi. Lastly, the HiSiv filter is Honeywell’s own design and seems to augment the Pre and HEPA filters. The company promises 3000 hours of usage here as well. After about a month’s usage, my pre-filter stands at 67%, while the HEPA and HiSiv filters are at 87% and 93% respectively. You can check filter status from the app at any time, and it shows you how much is remaining. So, I can get at least six-odd months of usage from the HEPA and HiSiv filters, which seems up to industry standards. The filters are available from Amazon, at Rs. 1395, Rs. 3595 and Rs. 2995, respectively. Most of the Airtouch S8’s servicing needs can be met by hand, without calling service personnel. To open the machine, you press down on the recesses on either side of the Airtouch S8. 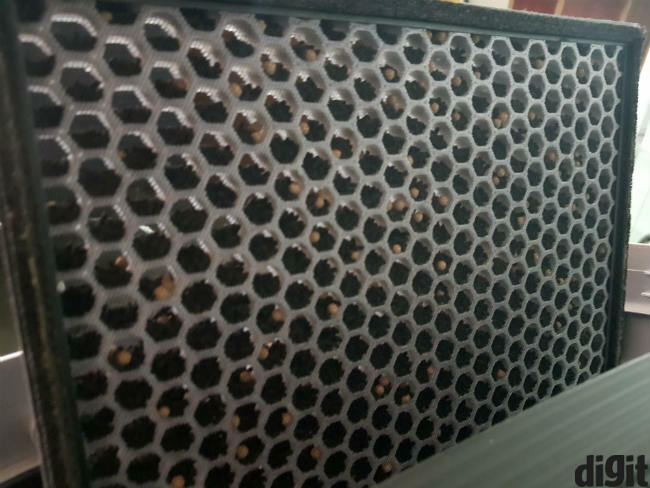 This pops the back open, revealing the three filters. You can simply pull out the filter you intend to clean. Depending on the intensity you’re running it at, the Honeywell Airtouch S8 consumes between 7.5W to 52W of power. So, you’re looking at nominal power consumption. In fact, it’s considerably less than air conditioners, heaters and most other large appliances in your home. Everyone who’s seen the Honeywell Airtouch S8 at my home has been skeptical of its usefulness. And having used the device for nearly a month now, I remain skeptical as well. To be clear, that’s not just for the Airtouch S8, but air purifiers in general. For the S8, the broken IoT system and a poorly designed app remain issues that need to be fixed. At Rs. 33,990, I’m not quite sure I would want to spend on this device.